Belmont’s own “Bug Guy,” Professor of Biology Dr. Steve Murphree, has hosted “Beetles, Bugs and Butterflies,” bug-themed camps for elementary school children, for the last 25 years. 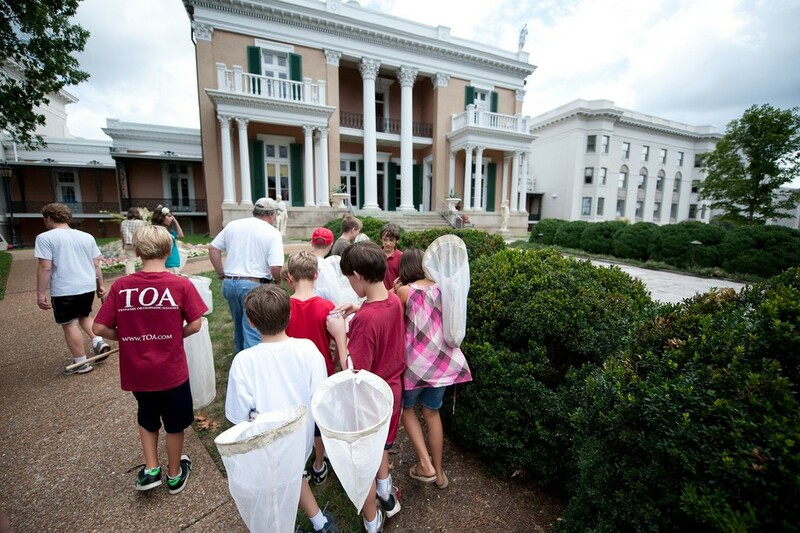 Aside from two years when Murphree hosted the event at Cheekwood, campers have explored the word of entomology on Belmont’s campus. Beginning in the summer of 1992, Murphree and his then-colleague Dr. David Hill hosted their first group of students. Since then, hundreds of campers have participated in the week, which includes themed days, and enjoyed insect stations, show-and-tell that features campers’ own contributions of spiders and insects, educational discussions and a bug hunt, followed by an insect film and snacks. This summer, 30 children from the Nashville area will participate in the camps. Murphree hosts show and tell with campers on Belmont’s campus.